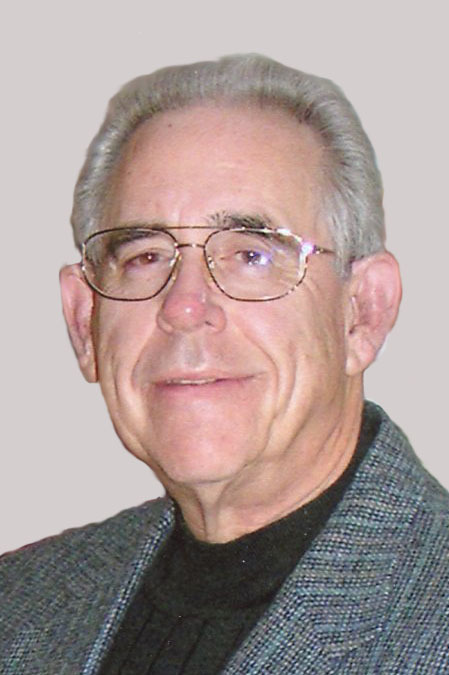 James A. Healey, of Frostburg, left this life peacefully at his home with his family by his side on Friday, January 25, 2019. Jim was born on May 28, 1938 in Hagerstown, MD and the son of the late Albertus B. Healey and Martha Tombaugh Healey. Mr. Healey was preceded in death by his youngest brother. Jim is survived by his wife and best friend, Beth Miller Healey; sons, Jim and wife Ellen of Augusta, GA and their daughters, Amber and Rachel and Philip, and wife Carole of Hagerstown and their children Katherine, Lauren and Matthew. In addition, he is survived by brother, David Healey and wife Nancy and family, and sister, Ann Kline and her family, both of Hagerstown. Also surviving is Jim’s mother in law, Shirley Miller of Bedford, PA and several members of Beth’s family. Jim served in the army after high school spending most of those few years in Europe which lead to many stories to be told over the years. After 30 years with the Bonton, he retired in 1992 as the General Manager of the LaVale Country Club Mall store. He enjoyed many years there with store associates and customers. Years after retirement he would be met in public and hear the comment “that store hasn’t been the same since you left”. After retiring Jim assisted Beth with the operations of Travelworld, the business they opened in 1991 and still operate today. Jim loved spring and the new life that came with it. He looked forward to his annual trips to “the Masters” golf tournament. Jim’s favorite pastimes were playing golf and traveling. He was quick to say his favorite trip was to Australia. He especially enjoyed rounds of golf with his boys. Jim and Beth played golf during their travels and his endless patience tolerated her game. In later years, he enjoyed a glass of rum punch with Beth while gazing over his large scenic yard and a dog at the end of his hand. Jim had a special spot in his heart for his beautiful golden retrievers, Bessie and Sophie. The girls were waiting for him at the rainbow bridge. Family and friends will be received at Durst Funeral Home, P.A., 57 Frost Avenue, Frostburg on Monday, January 28, 2019 from 4 to 8 pm. A gathering of family and friends will follow the next day from 11:30 am to 1 pm and conclude with a brief service on Tuesday, January 29, 2019 in Rest Haven Funeral Home, 1601 Pennsylvania Avenue, Hagerstown, MD 21742. In lieu of flowers, the family is requesting donations to the Allegany County Animal Shelter, PO Box 566, Cumberland, MD 21502. The family would like to extend a special thank you to the doctors and staff at the WVU Heart and Vascular Institute in Morgantown. They and Jim never gave up trying to defeat his illness.